This section provides information about scheduled bus routes and timetables. Below is a list of bus route groups available. Select the group you are interested in and a list of the available scheduled bus routes will appear. You may then view details such as bus stops and time schedules for specific bus routes. Information about buses in Limassol including Limassol bus timetables, night buses in Limassol and maps of Limassol bus routes. Information provided also includes buses from Larnaca airport to Limassol and Limassol to Larnaca airport. Buses in Limassol are operated by EMEL. Information about buses in Paphos including Paphos bus timetables, night buses in Paphos and maps of Paphos bus routes. Information provided also includes buses from Paphos airport to Paphos and Paphos to Paphos airport. Buses in Paphos are operated by OSYPA LTD.
Information about buses in Nicosia including Nicosia bus timetables, night buses in Nicosia and maps of Nicosia bus routes. Information provided also includes buses from Larnaca airport to Nicosia provided by Kapnos airport shuttle. Buses in Nicosia are operated by OSEL. A list of all buses in Larnaca including night buses, rural buses and intercity buses to and from Larnaca. Buses from Larnaca airport to Larnaca, Larnaca airport to Limassol, Larnaca airport to Nicosia and Larnaca airport to other destinations in Cyprus are also available. Information provided for each Larnaca bus route includes bus timetables and bus route maps. Zinonas operates the public transport service in Larnaca. Information about buses in Famagusta including Famagusta bus timetables, night buses in Famagusta and maps of Famagusta bus routes. Information provided also includes buses from Larnaca airport to Ayia Napa, Paralimni and Protaras. Buses in Famagusta are operated by OSEA. Information about Paphos airport buses and airport shuttle services to and from Paphos airport. 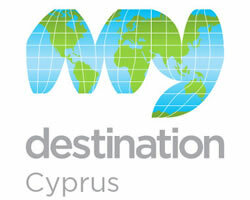 Information and bus routes provided can be used to travel from Paphos airport to all major cities in Cyprus. Information about Larnaca airport buses and airport shuttle services to and from Larnaca airport.Larnaca airport shuttle services available from and to Limassol as operated by Limassol airport express. Kapnos airport shuttle operates a service from Nicosia to Larnaca airport. Intercity buses, bus routes, and bus time schedules between all cities in Cyprus. Find all necessary information on how to travel by bus anywhere in Cyprus.